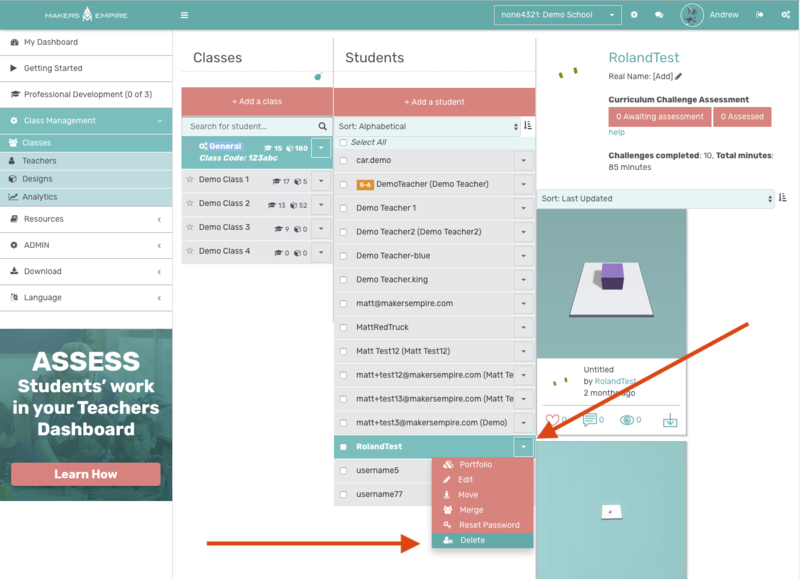 You can delete a student via the Teachers Dashboard. This will disassociate the student from your class and school. Please remember that you will not be able to create a new account with the same username that has just been deleted. Note: You cannot delete students when using Google Classroom - you should do this via their interface.